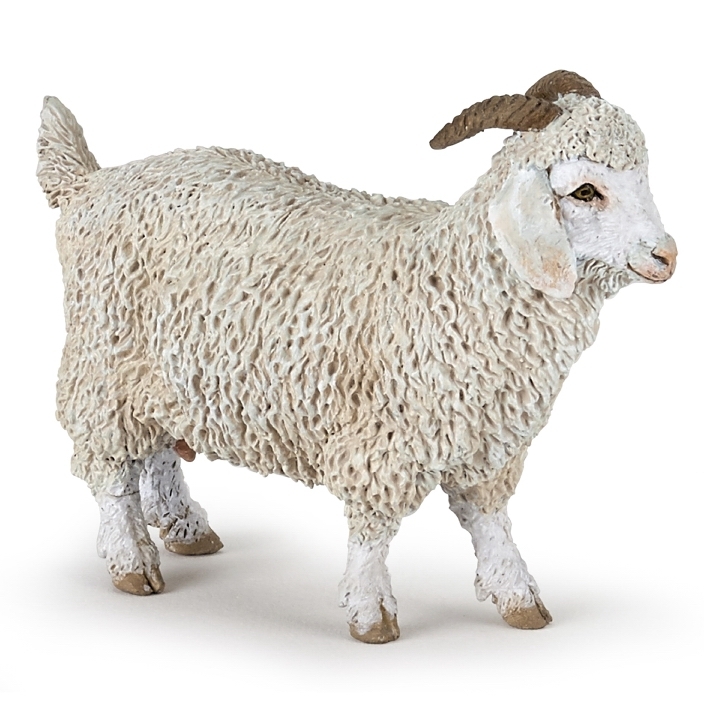 Papo Angora Goat - Toys & Learning - Papo Specialists - 100% - Fast Service - Sale Prices. This Papo Angora Goat is one of the top quality products from Papo. All these Papo models are a brilliant way for a young person to develop their imagination whilst learning about the wider world thereby broadening their horizons. I find Angora Goats adorable, they come in many different colours, their coats are so soft and fluffy and produce mohair to make many wonderful clothes and furnishings, they have floppy ears and curved horns just like the lovely model sitting here on my desk, it has the cutest little face with a pink nose, even though it's a model its coat looks amazing!